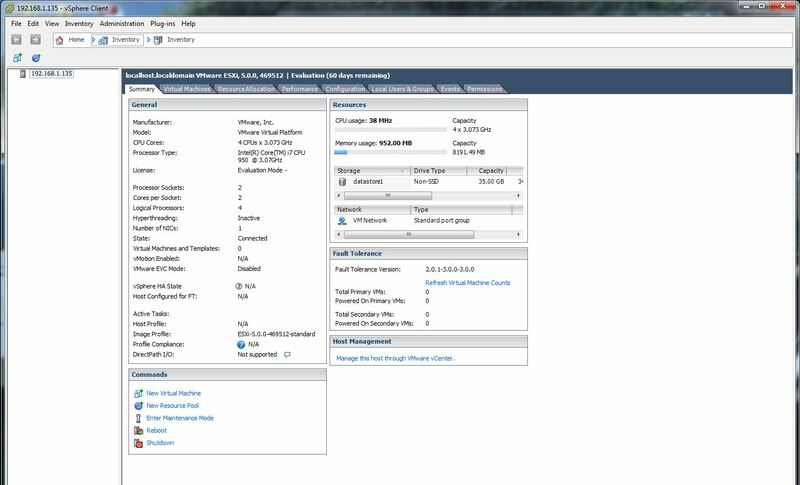 In the previous post we covered the basic install of a VMWare ESXi5 Hypervisor, or “host“. 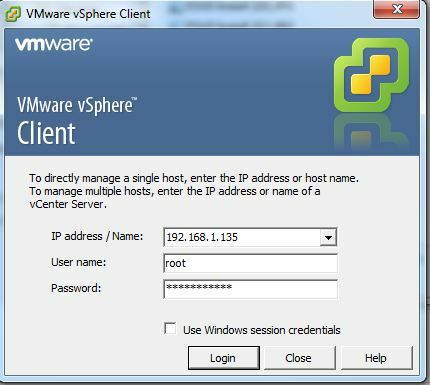 In this post I will show you how to create your first virtual machine or “client“. 1. 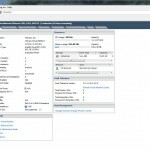 If you have not downloaded and installed the vSphere client do so now. 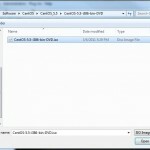 This can be downloaded through an internet browser by browsing to the IP of your host. 2. 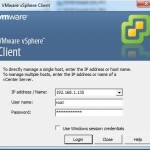 Open the vSphere Client and type in the address and login to your host machine. 2. 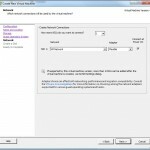 The client communicates with the host and opens to the inventory page and host summary tab. 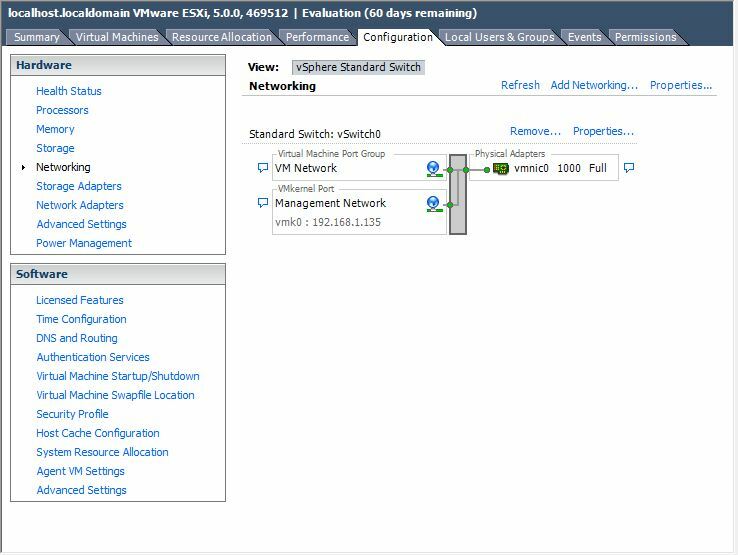 If you need to configure networking or create additional networks you can do so by selecting your host, then the configuration tab, networking option. 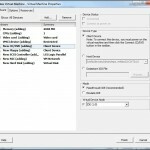 Choose properties of the vSwitch you want to edit. 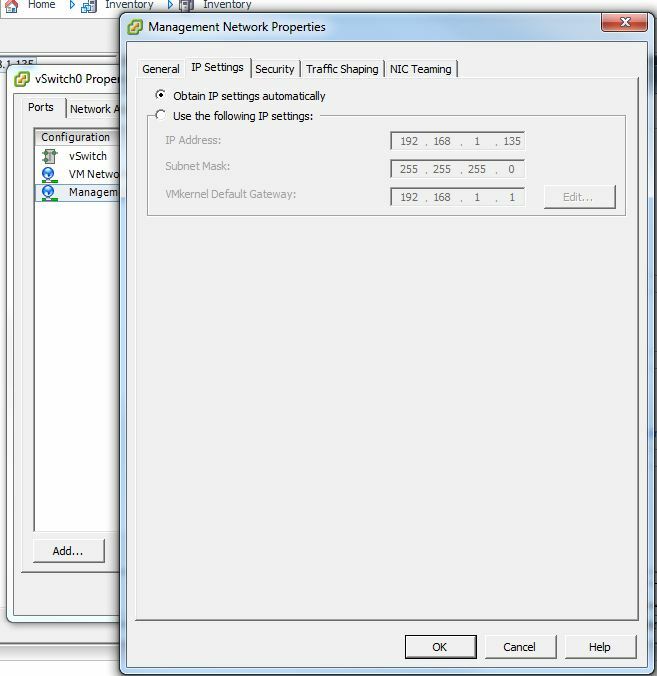 You can edit the IP information under the “Management Network” service. 3. 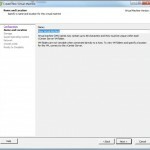 From the menu bar or the host summary tab choose “New Virtual Machine”. 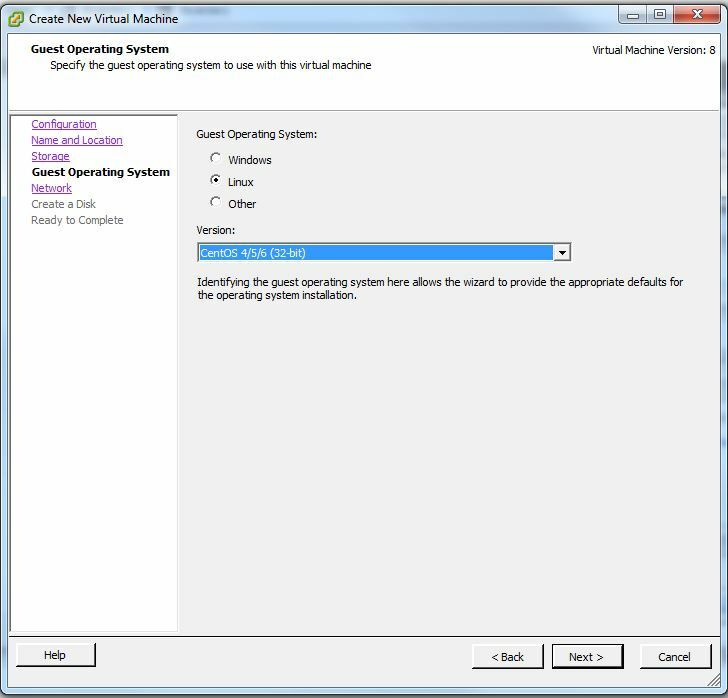 I will choose typical and then enter a unique name for this VM. 4. 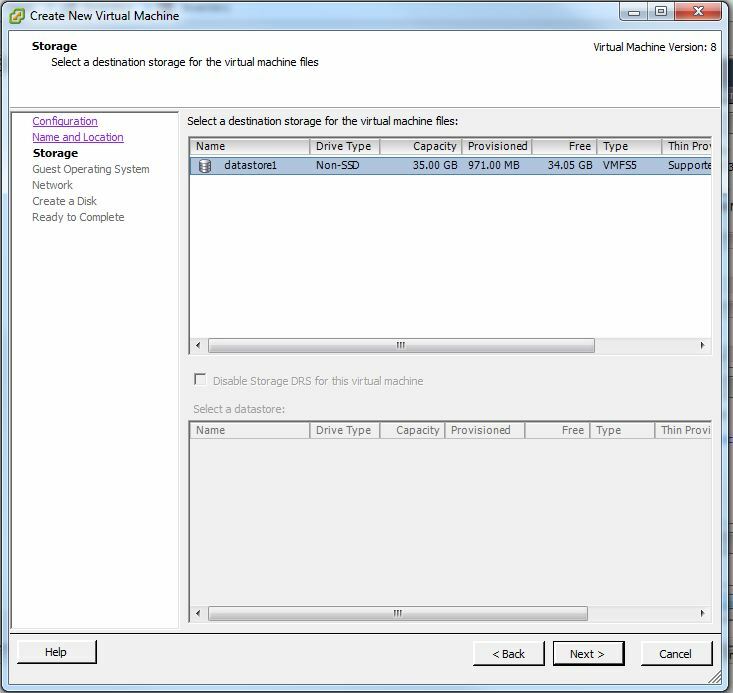 Select the datastore for the virtual machine to reside. 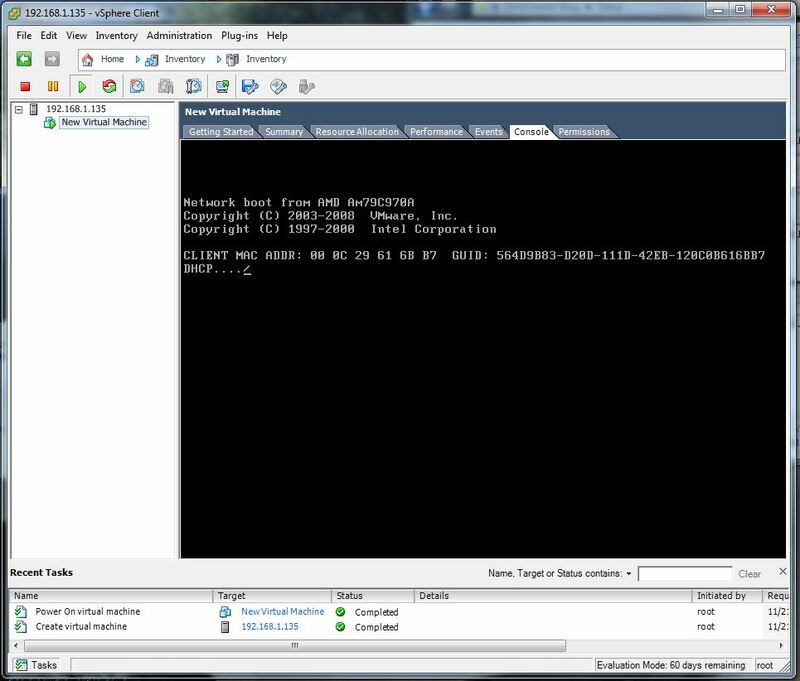 In this example we only have the single local disk that ESX is installed onto called datastore1. 5. 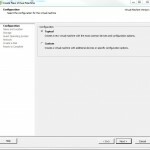 Choose the operating system of the VM you plan to install. 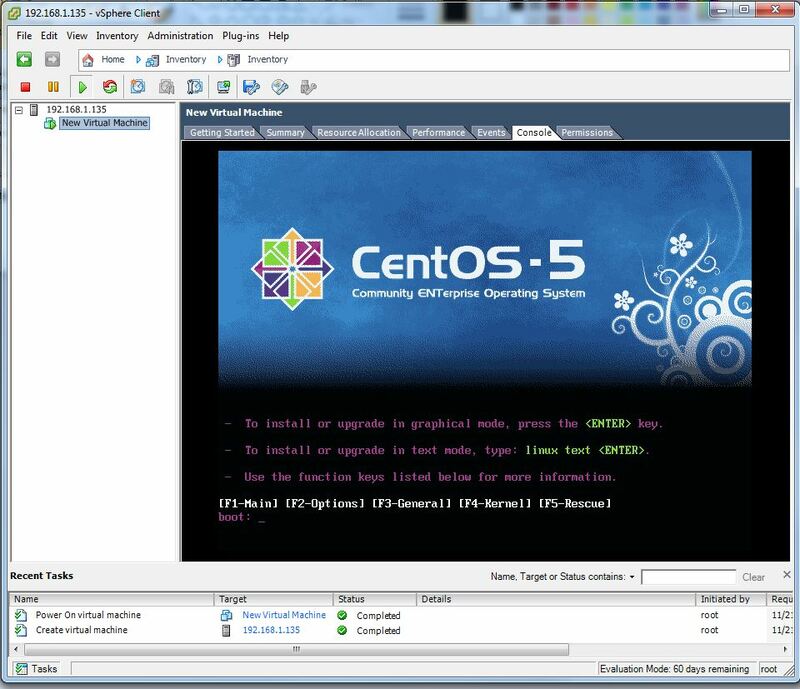 I plan to install CentOS, a Linux based operating system, so I will choose that option. 6. 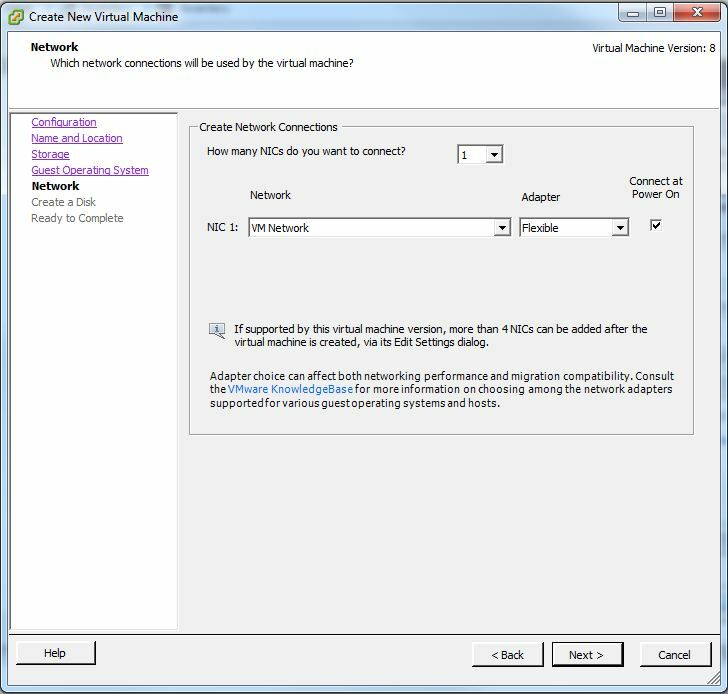 Choose your desired networking adapter and vSwitch to connect your VM with. 7. 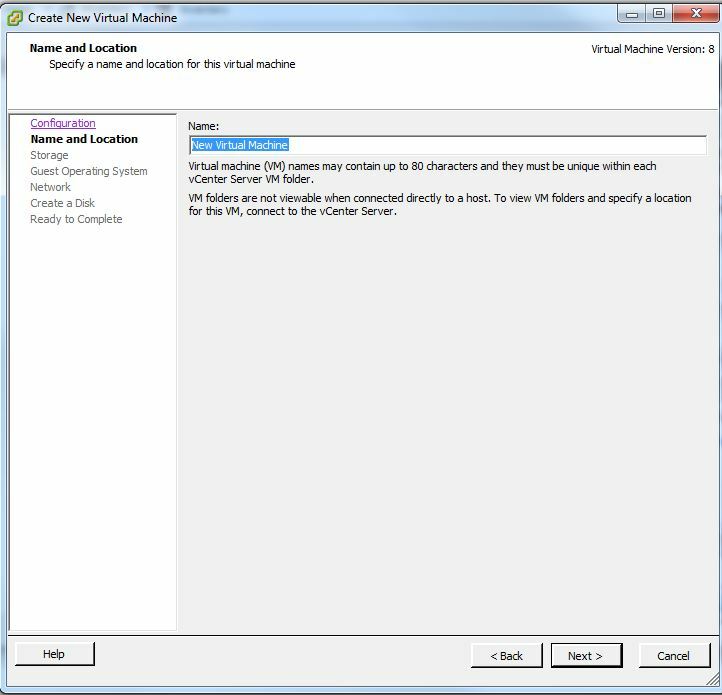 Configure the virtual machines hard disk size and provisioning method. Thin conserves storage space by only consuming what is needed and growing as the data on the VM increases while thick reserves all allocated space immediately. 8. 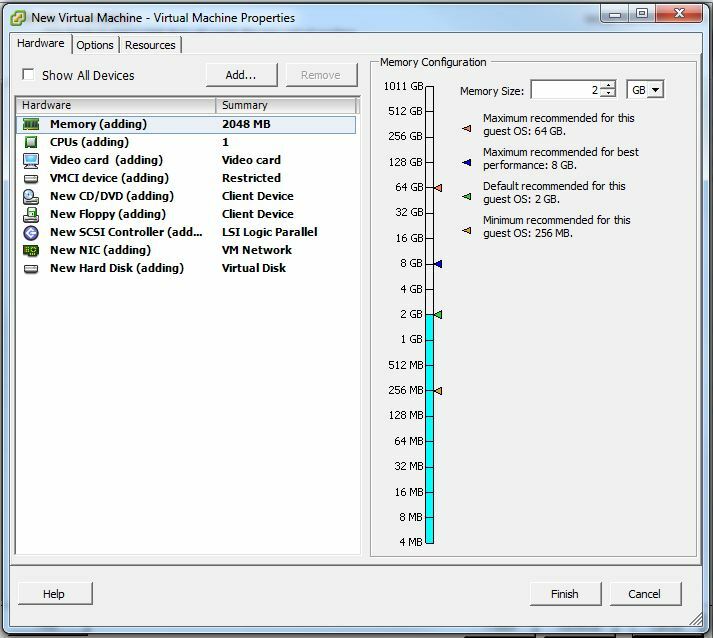 Your virtual machine is almost ready. 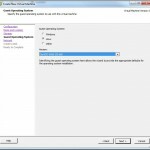 Either choose finish or check the box to edit additional settings and then continue. I will edit additional settings. Here you can adjust the amount of RAM as well as add additional virtual devices and edit there settings. 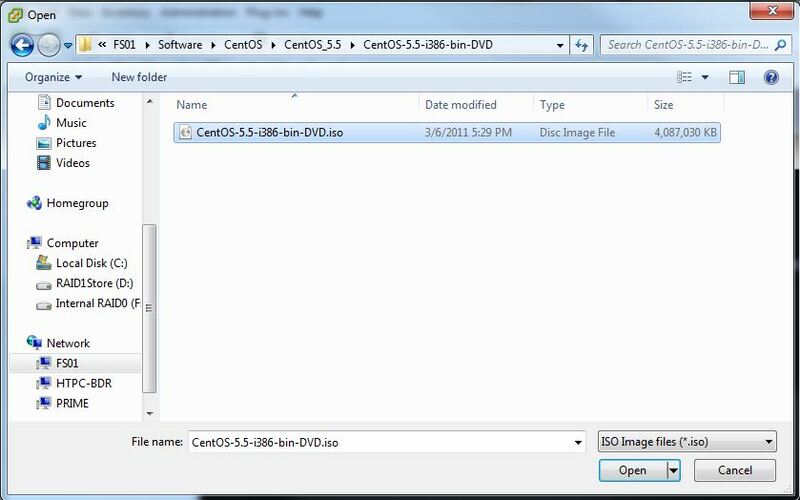 You can select your install media by highlighting the CD/DVD device and choosing your source type. 9. 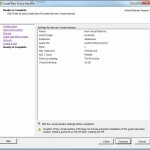 Click finish and your virtual machine will be built and added to the host inventory. 10. 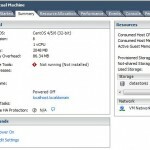 Select your new VM from the host inventory and click power on. 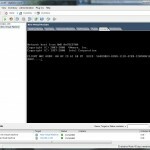 Navigate to the console tab of your VM and you should see the boot screen of your VM. 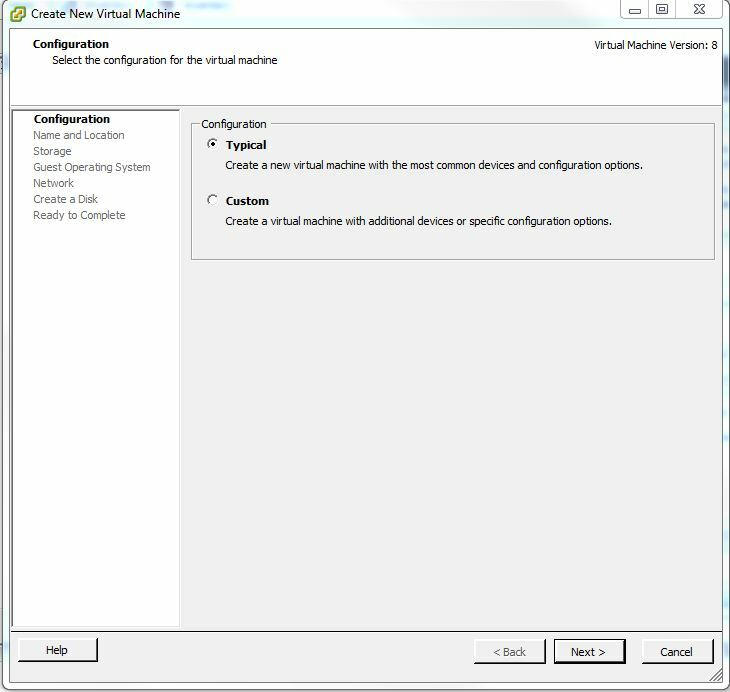 Sometimes the VM does not see the source install image/file selected in the configuration until it has been powered on once. 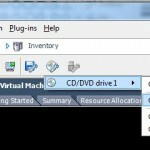 In this case you will need to select the CD button in the vSphere client console window and select your media file. 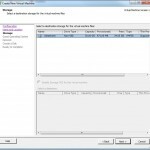 I am selecting a file on my local machine but you can also load files to the datastore and select them from there. I might detail file uploading and downloading in a later post. 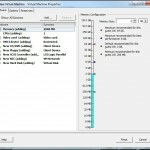 Once selected restart the VM by pressing CTRL ALT INSERT in the console window. Your install media should now load. 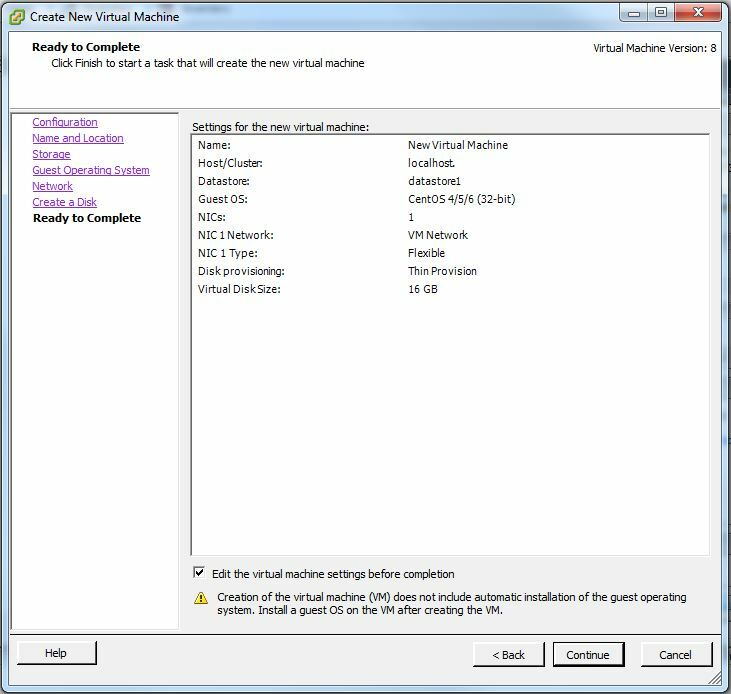 Install the operating system into the virtual machine as you would a traditional computer. 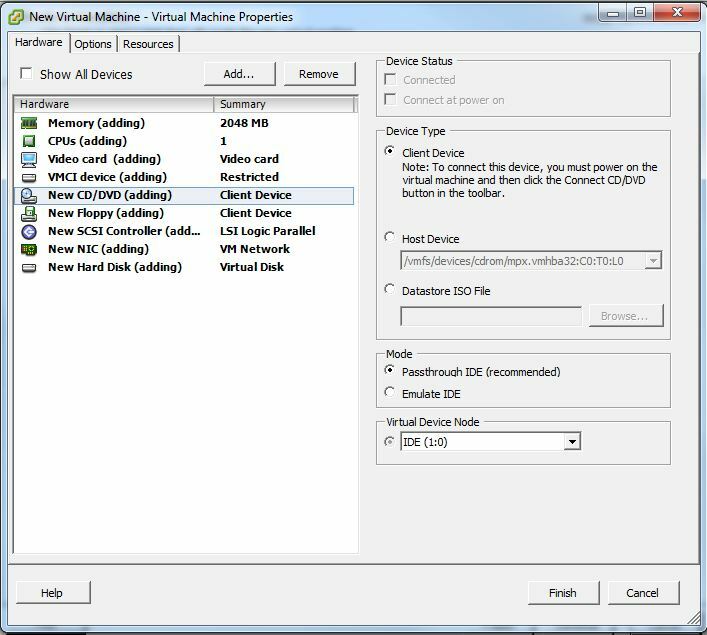 When your OS installation finishes you will have a basic running virtual machine that you can use as you would a physical computer.